If you want to know exactly what your beer contains, if you want to understand the diversity of frosty, foamy styles across the globe and decode the secrets hidden within, then the project BeerDeCoded will excite you. 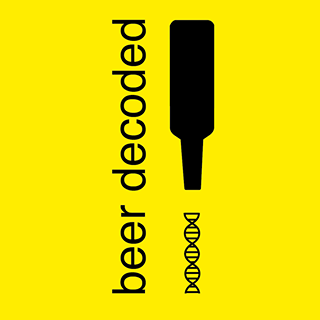 It consists of sequencing the genome of 1000 varieties of beer and comparing their biochemical parameters. The result will be made into a poster as a reward to all of our supporters. This project brings together a multidisciplinary team of six researchers who need your help to complete the goal. The first financing campaign was launched on Kickstarter and ends on 27 June. If you are interested, please share the following link with your social network and consider contributing your support. You may also join our analysis workshops in our laboratory at the Hackuarium (Lausanne, Switzerland: http://www.hackuarium.ch) starting this summer. Our results will be free for all to see. We believe in Open Access science and we will therefore release the results online and through a free App. Thanks to beer- and genome-lovers like you, in only 4 days we were 70% funded.